In this post our CEO Debbie Lawley discusses the development of effective Sales teams, and how the relationship with Product Management is crucial for success. It depends on the business of course, but sales collaboration with product management is as important as working with the marketing team when it comes to developing the skills of the sales team. Both market intelligence inbound and proposition communication, attack and defence strategies come from product management. Recognising the blend of sales skills, with product knowledge is fundamental in developing impactful sales team development programmes. I recently blogged on the development of sales teams and how, all too often, their skills development needs are a low priority. Of course, sales teams have to be led by targets, and yet well applied effort in developing the skills of sales teams can have the most rapid impact on company results. The issue here though is that impact on sales targets through skills development comes from contributions from a number of quarters, not just from external sales trainers. The most successful programmes bring together experienced sales champions within the business, sales skills specialists, product management and programme delivery capability. The best of these are via the optimal blend of contributing parties, working together . WillowDNA is currently delivering a number of sales development programmes, working with Kojo – a specialist company focusing on blended programmes. This combination is getting exceptional feedback. Why? Largely because we aim to work in the shoes of the learners, those sales people for whom results are key to the business, key to their customers and key to their businesses. Kojo plans the programme by starting with a tailored value chain, one which is results focused but then shows the relationship between the knowledge flow and the outcomes. Working with the client, we workshop the value chain for their context in order to arrive at the programme design that will hit the mark for that customer. This helps then to build the most effective programmes, pulling together the correct competence. The blend of online assets, e-learning together with well-focused launch workshops to build engagement and interest. 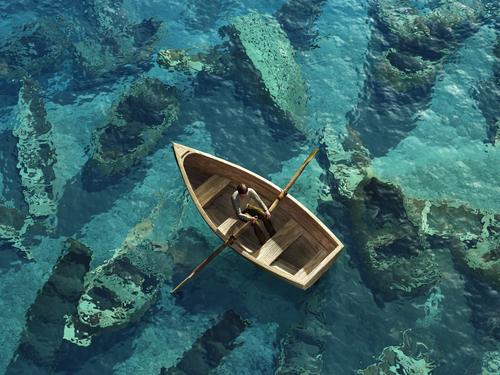 Developing great sales teams relies on understanding the current context. Understanding the maturity of the sales team is a key starting point. To give you a brief insight, try taking a sample of one of our diagnostics – the Sales Maturity Test (opens an interactive PDF). For more information on our approach to supporting sales development through online and blended learning, please contact info@willowdna.com or call +44 (0)117 370 7735. During challenging times in the form of strong competition, new legislation or economic downturns / uncertainty, the L&D team can play an important strategic role in helping to ensure business survival – and even capitalising on the challenge. Here we look at some key tools and approaches that learning and development leaders might adopt to adapt. Excellence in innovation is a tricky capability to instil in any organisation. It doesn’t sit within a team but in an attitude. And yet it is increasingly at the heart of survival for most businesses. Watch the high street – there are survivors, ‘thrivers’ and sad departures. Most of this is down to the organisation’s capability to innovate through learning fast enough. Can L&D support this capability? It can, but only by being at the heart of the biggest challenges the company faces. If L&D specialists are not in the discussion, they are not in the solution. How L&D engages with the biggest challenges is largely down to the way in which they help to instil the most helpful behaviours in the leadership team. So openness to ideas, exposing proposals and developments early in the cycle to a wider, critical audience are all part of those behaviours. Including well-focused tools to enable collaborative working and problem solving is part of the answer and there are plenty out there. Digital literacy for L&D is not optional, much the same at it is for most roles within organisations. It is a question of finding the right tool for the job and there is a confusion array of options out there, the most obvious one being the Learning Management System itself. There is the very helpful list of tools for learning put together by Jane Hart of C4lpt. The directory changes all the time and the variety is considerable. Tools like Slack and Trello are the team working/project collaboration aids, whereas Snagit and Scoopit focus on collection and collation. Then there are die-hards such as SurveyMonkey and new kids like Typeform. 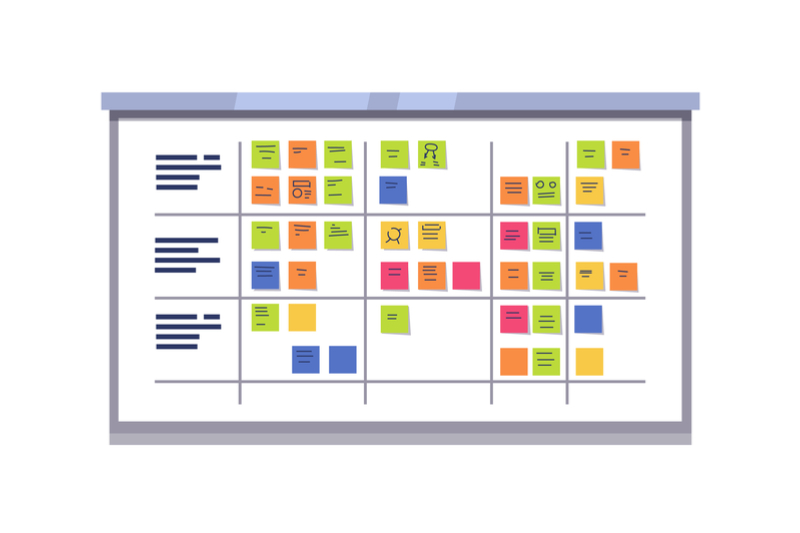 There are tools that are not on that list yet – ideeter sits neatly in the innovative support area as a rapid insights tool by setting challenges where either closed or open groups can participate in idea gathering. Quick, neat tools that address particular needs are invaluable to the L&D specialist. Distilling the output in creative courses, resources and online academies is the way to ensure that effort is well-collated, curated and ‘owned’ by the people closest to the subject. Keeping the learning effort focused on performance, the beating heart of the company, is the best insurance for direct business impact. Learning before doing, during and after is all part of the solution and creating toolkits to do this is key to L&D success in supporting collaborative behaviours. On top of this, collaborative behaviours are key to successful innovation. As ever, platforms and tools need people and supportive behaviours to result in innovative places to work and learn. The role of L&D sits at the heart of this. The differences that mark innovative cultures apart from zombie cultures are pretty easy to spot. L&D’s ability to build a toolkit to support leadership can make the difference. 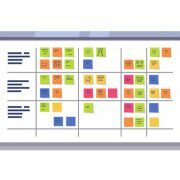 This includes tools to capture challenges and achieve input outside the usual boundaries, techniques for learning from others before embarking on new projects, problem sharing and exposing failures for wider discussion. Pulling those assets together as a set of resources is where Learning Management Systems (LMS) can sit well. So rather than being the repository for compliance alone, the LMS becomes the hub of distilled learning and practice for the organisation. The success of this is likely to be down to who ‘owns’ the challenges and the expertise which is collated in the LMS. 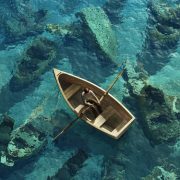 The relationship between those who feel responsibility within the business, the pain of the problems and the drive to succeed with the well-framed practice within the LMS will be at the heart of this – not sitting still, but timely, relevant and constantly adapting – just like our organisations need to. L&D teams are catalysts in this and they can be the agency that addresses innovation in problem solving through behaviours and tools resulting in agile business outcomes. In this post on learning and development for sales teams, our CEO Debbie Lawley offers insights from her experience in helping global companies to increase both efficiency and revenues. Sales teams do not sit still and are at the sharpest end of business. Frequently led by challenging targets, development of the sales team and management capability can be low down the list of priorities. And yet results in this area of team development can have the most rapid impact on company results. The question is how do learning and development approaches make a difference – and make a difference that is timely, impactful and sustainable. The reality of sales performance is that it is actually a combination of multiple competences. Capability in selling techniques is one, product knowledge is another, competitor knowledge and capability in using the organisation’s platforms and systems are yet more. Sustainable and effective development programmes address all these and ensure the key knowledge is available at the point of need. The reach of the L&D team has to be broad enough to cover all these areas and is unlikely to be addressed in face-to-face training alone. Blended learning programmes bringing together experts, stories, competitor knowledge as well as systems and sales support are key to impactful outcomes. The sales methodology is too vague or generic and therefore not actually used by any sales people in practice. The sales methodology is “inside-out”: It was designed from the supplier’s viewpoint about how it wanted to sell rather than how clients actually buy. New hires are not brought into the business effectively meaning time to competence is slow and worse still, there is a higher than necessary drop out rate. The early years of the learning journey work well, but organisations struggle to develop their best sales people who’ve completed the basics. The jump from sales person to sales manager is precarious and badly managed. Sales enablement is non-existent: sales and marketing fight because there is no well thought out collaboration mechanism in place. It’s very difficult to discover where best practice resides during changes in sales strategy or product / service focus, meaning sales are slow to grow. The right blend can make the difference. Direct impact on performance, time to competence of new hires and reductions in churn rates are all achievable. Excellence in sales development is achieved by bringing sales skills together with access to market knowledge, by involving sales managers as mentors and setting on the job assessments. This provides Sales people with realistic and context-based learning tools to hone their skills. For more information on our approach to supporting sales development through online and blended learning, please feel free to contact us here at WillowDNA. Sales Confidence: Is your team selling consistently across your offering? How do you feel about your team’s sales confidence and can you honestly say your team is selling consistently across your whole offering? How Confident are Your Sales People? If sales people lack the confidence to sell certain products within the range of your offering, figures and profits are going to suffer. Over 40% of salespeople interviewed for the 2017 state of inbound report confirmed that for them, prospecting is the most challenging part of the sales process. If this is the case then a natural response from many salespeople could be to stick to what they know – by prioritising some products over others. Only by initiating a behavioural change can your team gain the confidence to implement the correct and most effective sales methodology, strengthening the sales across your whole product or service offering. You can achieve this by providing practical, online training that is specifically tailored to reflect your sales team’s day to day environment. WillowDNA specialises in crafting bite-sized elearning content, using a range of mixed media assets that allow sales people access to relevant resources in the field according to their unique requirements. This ensures continual development and maintains consistent levels of best practice, ushering in the behavioural change you want to see in your team. The Sirius Decisions sales onboarding report confirms these results, stating that high-performing sales organisations are twice as likely to provide ongoing training as low performing ones. WillowDNA’s online platform, Pathway LMS, can be structured to give your managers direct control over their team’s ongoing training programme, making it easy to facilitate this continual development and culture of growth in your team. Do you think the challenge of prospecting is negatively affecting your staff’s sales confidence and their approach to selling? Contact us at WillowDNA to discuss how we can help you and your team. https://www.willowdna.com/wp-content/uploads/2018/05/sales-confidence-consistency.png 220 800 Manager https://www.willowdna.com/wp-content/uploads/2017/09/willowdna-elearning-white-300x76.png Manager2018-05-15 11:20:582018-06-13 06:29:20Sales Confidence: Is your team selling consistently across your offering? 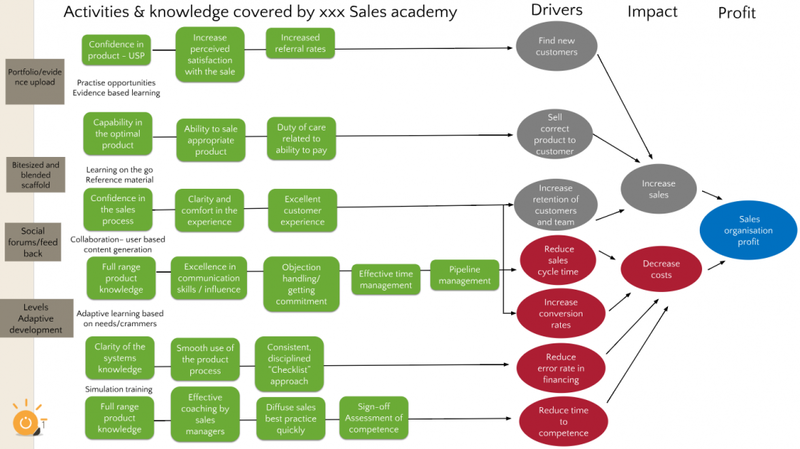 Do you need to evolve the sales training approach of your business? As you have probably discovered, developing training solutions for high value sales is a complex task for anyone. And why wouldn’t it be? Most L&D departments need to invest in complex training programmes because their sales requirements and products are also complex and high value. On top of this, your company depends on the success of your sales team to drive the top line performance of your business. Now you have a serious reason to look into effective training solutions for your business. What you need is a high quality training solution that actually conforms and caters to the nuance of your product and target market needs. 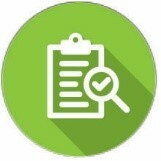 WillowDNA focuses heavily in targeted learning design analysis. As part of our service, this process allows us to craft unique mixed-media training content for your sales teams. This ensures that the content we develop actually reflects your operational needs. The content is then managed and deployed through our cloud based LMS Pathway to provide standardised, high quality and effective training for disparate workforces on any scale; from regional to international. What makes our approach more appealing than other competitors? Well, unlike some, WillowDNA actually owns its own LMS, Pathway. Because of this we have an intimate knowledge of the platform and can actually grow it in the directions that our clients want, effectively giving you a unique learning platform that organically grows to meet your needs, as opposed to open based platforms such as Moodle, that are governed by many influences. Through our learning design analysis, our skilled consultants can mobilise your domain knowledge with our learning expertise to create a superior breed of training. Because we are a platform provider as well as a content creator, WillowDNA actually breaks the ideological paradigm that many competitors suffer from, namely that their focus impedes the options available to them. Because of our solution orientation, the event horizon of restricted learning solutions does not affect WillowDNA. On top of this, we don’t peddle inferior solutions or lobby certain products, so you know that the blended approach we provide you hasn’t been compromised by external agendas. Our entire methodology and focus is on providing the best available training solution for your needs and we have the skills, process and platforms that ensure success. If you feel the same way we do and recognise the benefits within our approach that can save you time and a constant headache, contact us to get started. We don’t actually see anything for what it truly is. Our eyes provide our brain with a virtual simulation of an object, based on a series of electrical impulses sent to the brain via the optical nerve. Our eyes reconstruct objects to an astonishing degree of accuracy, but it is still a reconstruction. Because the eye is arguably our most complex sense organ, humans are intensely visual creatures – which helps to explain why video as a media type, reigns supreme. A lot of contemporary literature in the learning technology sector evidences the huge surge in popularity of video based content. 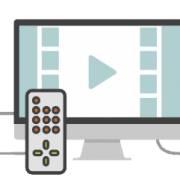 Research articles from the Fosway Group and Cisco provide insight into video consumption, and with multiple speakers focusing on video based learning at the 2018 Learning Technologies conference, this is a topic that should be of interest to a variety of L & D professionals. Let’s see how this plays into elearning solutions. 79% of L and D professionals that were interviewed in a study conducted by the Fosway Group reported that they expect their demand for video based learning to increase or stay the same throughout 2017 . We can see this appetite for video content reflected in wider culture. Platforms like YouTube dominate the digital media scene, with consumers ravenous for video content. To provide some sense of scale to how popular this medium is, global mobile data traffic grew by 63% in 2016, to approximately 7.2 Exabytes per month. 1 Exabyte equates to over 1 billion Gigabytes. And out of this colossal volume of traffic, mobile video traffic accounted for over 60% . Being visually dominant creatures, it is no surprise that video content is so effective at engaging the viewer. Harnessing this power in learning solutions is paramount for any content creator. Even on a practical level, video is a strong communication tool for messaging a nationally or globally disparate workforces and is a welcome alternative to flying everyone in for a company development retreat. However, video content requires a significant investment, and given the fact that scalability can sometimes be a limiting factor, it is even more important to understand how video content is consumed by learners, so that it is captured and rendered in the right way. Therefore it is important to detect which devices learners are viewing content from, desktop / mobile etc. This can provide content custodians with useful data about their learners’ viewing habits and preferences. We also recognise the value of being able to assess the effectiveness of one video over another and evaluate their impact in terms of learner engagement. Pathway offers our clients deep video analytics to gain this level of insight. No matter which way you cut it, video based learning content is here to stay, how it is harnessed however, depends on the context of the client’s needs. This is where WillowDNA’s expert consultancy comes into play. Not only do we develop video content from scripted dramas through to beautifully crafted interviews, but we also provide guidance around recommended video length and how to actually incorporate video into a client’s blended learning solution. On top of this we can also edit and adapt existing video footage that clients may already possess from previous initiatives. This approach can help to save costs of it is feasible to repurpose existing material, making video content even more attractive for L&D projects. Contact us today to see how WillowDNA can incorporate video content into your learning solution. After working with a much more diverse range of clients during 2017 and having felt my outlook as an Instructional Designer change, I was very intrigued to see what the atmosphere would be like at Europe’s leading L&D exhibition for 2018. One thing was for certain – I did not expect the level of turnout that greeted me as I entered the Olympia centre. Everywhere I looked I could see bustling crowds of people listening to a wide range of speakers from different nations and business backgrounds; sharing their most important messages for the industry going forwards into the new year. But just what exactly were these messages? Maybe more importantly were any of them worth paying attention to? Well the short answer is yes, but it may not be the ones you think. As I walked around trying to find the most controversial or up and coming trend, keeping one eye out for unexpected or unusual topics, I couldn’t help but notice how popular the tried and true discussion points were still, despite their relatively aged positions in the industry. Microlearning still retained a solid and noticeable position, with multiple speakers dedicating their stage time to the deeper application of its potential. For me, and the rest of the team at WillowDNA, this proved just as exciting as any of the more fringe discussions like the role of AI chat bots in elearning and so on. It showed just how innovative and pioneering WillowDNA was over a decade ago when it first emerged on the organisational learning scene. If microlearning is still being discussed and explored in 2018, then it is definitely a mode of learning that is here to stay. This is good news for our business as microlearning was a founding tenant of our cloud based LMS Pathway. But it wasn’t just microlearning that retained its relevance in the 2018 conference. Seminars related to social learning technology generated a fair amount of interest, with the fostering of a user driven learning culture seemingly tapping into the ascendancy of social media within the wider world. Ease of access and consumption convenience are facets that bleed over between social and microlearning, which could explain microlearning’s impressive buoyancy in contemporary debate. 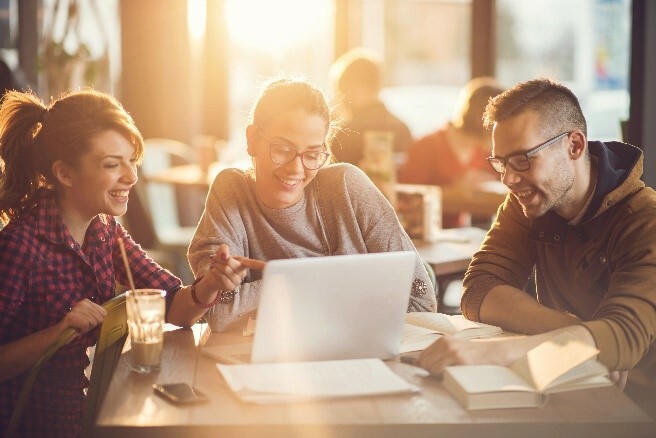 While social learning as an industry term is not a new phenomenon, by the sounds of it, the true potential and scope within elearning has yet to reach its peak. While being fairly circumstantial from business to business, social learning still has a place at the forefront of L&D debate. Video based content also boasted a healthy contingent of speakers, who focused on angles from knowledge retention and inciting culture change to instant gratification through bite-size knowledge clips. Video as a content medium is incredibly potent, but similarly to social learning assets, it must be rendered and deployed carefully and conscientiously. 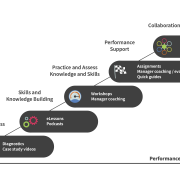 We will cover the details of its effectiveness in the near future, looking into research conducted by the Fosway Group, but being emphasised within several talks indicates video based learning is still growing into its role within L&D. These well-known L&D topics are apparently still at the forefront of a lot of people’s minds despite newer terms such as Alternate Reality and AI starting to establish beach heads in wider discourse. 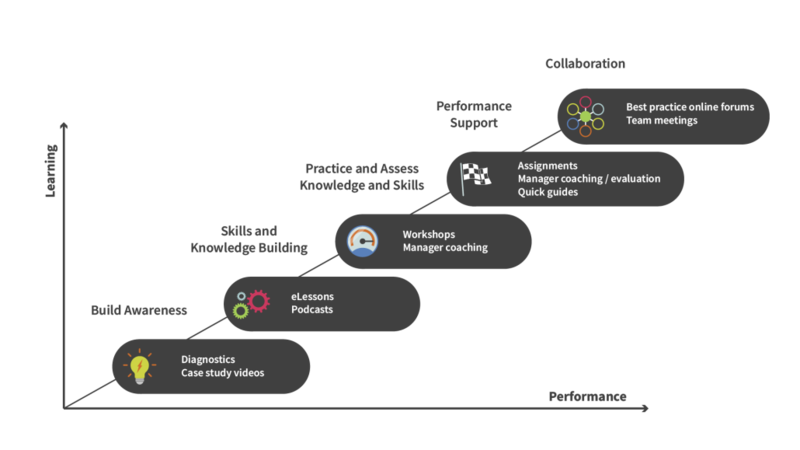 I am by no means writing off these fledgling additions to the L&D arsenal, but with WillowDNA’s decade-long championing of microlearning being a case in point, things take time to emerge as dominant learning solutions. Whether that’s because the sceptics amongst us demand rigour and endurance from hot trends before accepting them or some parts of the industry arrive later to the party, the same will apply to these emerging sub-fields. I suspect it will be some time before we see them being discussed as confidently and vigorously as the big three, Micro, Social and Video – which for me, the 2018 Learning Technologies exhibition seemed to confirm. Contact us to find out how at WillowDNA we capture social, video and microlearning within the heart of our learning solutions. Almost a decade ago Debbie Lawley, founder of WillowDNA discussed with an executive of a leading e-learning company the amazing potential that a cloud based platform with a microlearning approach would have within the learning technology market. How times have changed! 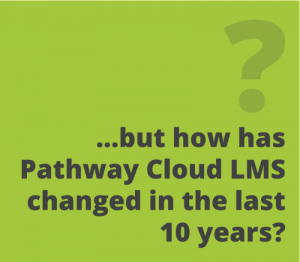 10 years on and microlearning is the norm, but how did Pathway as a pioneering LMS pre-empt this change in learning solutions? Debbie conceptualised Pathway in 2008. It originated out of a frustration with the contemporary landscape of e-learning and a lack of microlearning options in the market. There did not seem to be any products out there that offered bite-sized mixed media assets for organisational learning. Pathway’s founding purpose was to answer this gap in the market, and it still remains one of WillowDNA’s chief tenants to this day. 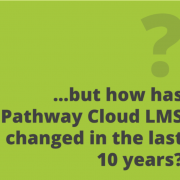 Pathway’s initial break out fields included professional bodies, corporates with dispersed workforces, training companies that wanted to digitise their assets as well as business that were frustrated with heavy duty / inflexible LMS providers. Because these fundamental client needs are universal and widespread; Pathway has always been international since day one. With over 120 countries where the Pathway Cloud LMS has been accessed from, WillowDNA’s global reach is in part due to the very nature of the fundamental challenges that Pathway was born to remedy. From advertising to travel, retail to sales, no matter the industry, open dialogue has become the norm, so Pathway’s current form has been refined in order to enrich it’s social learning aspects. How people prefer to access their learning has also changed rapidly since Pathway was initially created. Mobile based learning is on the rise and Pathway has naturally changed to accommodate this learner preference, right down to the essential code. Flexible footprint access now encompasses all aspects of Pathway. Understanding the past affords us a more accurate sense of the future, so looking forward in regards to Pathway’s technical longevity we can provide some outlines. As a preface, open systems integrations is something that we have always fostered in our technical departments and our API facilitates this. 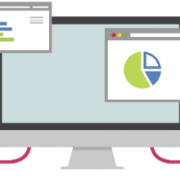 Equally having used sequel server databases with SSRS has enabled us to provide comprehensive reporting functionality for our clients, which we believe will play an important role in the future of e-learning. So, the current trajectory for Pathway looks bright and involves building on our reporting and data driven learning or ‘adaptive learning’ ambitions, but more on that another time! 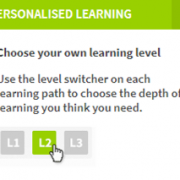 Interested in how Pathway can help you with your learning needs? Here at WillowDNA, we offer a range solutions for improving talent development, and on this post we look at how learner reflection is a critical success factor. In the crazy world of L and D, half the battle is getting learners to reflect on how they work and what approach they take to learning. Reflection is how we develop as people, and within a work context, it ensures continuous development; making your people better at what they do. Who doesn’t want that? So it makes sense that an LMS should encourage learner reflection as much as possible. Here is where Pathway LMS comes into play. Delegates will usually be presented with a diagnostic when they first access content on Pathway. This can really help to bring awareness to the delegates regarding gaps in their knowledge and how the learning they are about to undertake will help to fill these deficits. Bringing this knowledge to learners’ attentions is great for reflection, and by reinforcing this opening message throughout their journey, we can ensure they stay motivated to reach their potential. One of the chief ways in which Pathway can retain this message throughout their delegates’ journey involves Learning Logs. This is the principle functionality that provides a reflective space for learners to pause and take stock during their learning experience. Further to this, based upon the initial diagnostic, if level selection is enabled then certain Learning Paths may be suppressed away from the learner and others opened, depending on what they scored in the diagnostic. This curation of content also acts as an indicator to the learner that how Pathway has delivered content to them has been informed by their initial input. This is great as it again reinforces the desired message and shows learners the link between their existing skills, and the next level of competency that Pathway is steering them towards. Another tool that we deploy on Pathway for learner reflection is the reliable survey. Rather than cramming vanity questions as was customary for some companies in the past, surveys on Pathway can perform a powerful dual function. Not only can they induce critical reflection within the learner but they can also yield valuable data for content custodians such as HR managers and subject matter experts; so you can see where your learners are thriving and where they are struggling. All of these processes and functionality help to foster an atmosphere of reflection along the learner’s journey. When applied effectively to a learner’s specific work environment, they can enforce positive behavioural change, something that is very valuable for talent development teams within large size corporates. If you are interested in harnessing this power for your learning solution, come and find out how this can be achieved with Pathway. Feel free to contact us for an informal discussion about your talent development needs. The scope that Pathway LMS offers our clients for creating an effective learning journey is huge to say the least. Our roadmap for Pathway is based on a client-driven continuous development cycle and has plenty of exciting enhancements in store. However, for this update we thought you might be interested in finding out about the defining features of Pathway as it stands, and why it has taken its current form. Pathway is brimming with functionality, and there are a few features that have acted as major developmental keystones. Right out of the gate is Learner Diagnostics. This functionality provides recommended level selections for initial content access. This is especially helpful for learners that are not too sure about what content they need to explore and which assets are necessary or relevant to them. 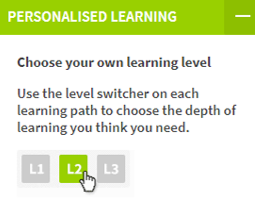 Level selection is great for streaming learners based on ability or experience; this functionality helps to boost user engagement as learners will appreciate knowing that the content they are accessing has been specifically selected for their aims and needs. Having control over your content is fundamental when it comes to delivering effective learning solutions. Pathway allows for content managers to directly access and instantly change content without third party involvement. This functionality is particularly useful for certain businesses that need to rapidly respond to industry changes and roll out compliance updates to their content. Trigger functionality allows clients to control when learners can access content and alert their learners to certain updates regarding content, assessments or evidence uploads. Suppressing content is extremely valuable for deploying lengthy programmes as the learner remains focused on the right content at the right time. This functionality works both ways, as content managers such as HR teams or learning tutors can be notified when learners access or complete content. This functionality is especially useful for businesses who need regular confirmation that their employees have accessed or completed training. Feel free to contact us for an informal chat about your needs and to find out how WillowDNA could help you create an effective learning journey for your training requirements.